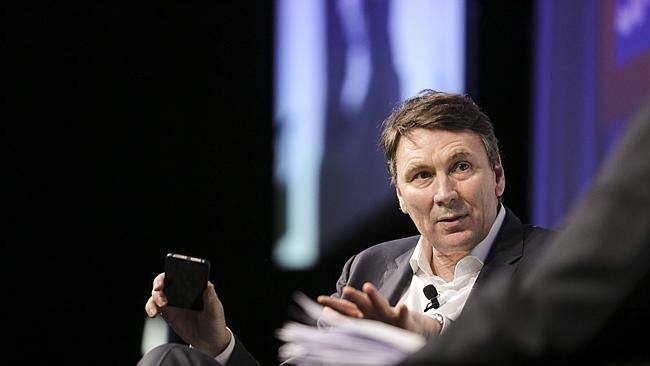 Telstra’s vaunted in-house ­venture capital team plans to sharpen its focus on investment opportunities in Israel, according to chief executive David Thodey. The applications and ventures group, founded by Mr Thodey in 2011, now has 16 investments. This year, it led a $12 million Series B funding round for Israeli mobile security company Zimperium. Other backers of the raising ­included Japan’s Toyo Corporation and existing investors Sierra Ventures, Lazarus Israel Opportunities Fund and Samsung. At the time, Mark Sherman, managing director of Telstra ­Ventures, said the investment represented “an opportunity for Telstra to acquire a stake in an emerging company with a unique solution to the problem of ­advanced cybersecurity attacks on mobile devices”. Telstra is a customer of Zim­perium and the funding is being used to scale Zimperium’s operations and support its rapidly ­growing customer base. “Obviously one of the big growth areas is network and ­cybersecurity. We work with Checkpoint already, which is a big Israeli company, and source a lot of software from Israel,” Mr ­Thodey said. He said the ventures group, which has offices in Australia and Silicon Valley, was looking at other investments in Israel.